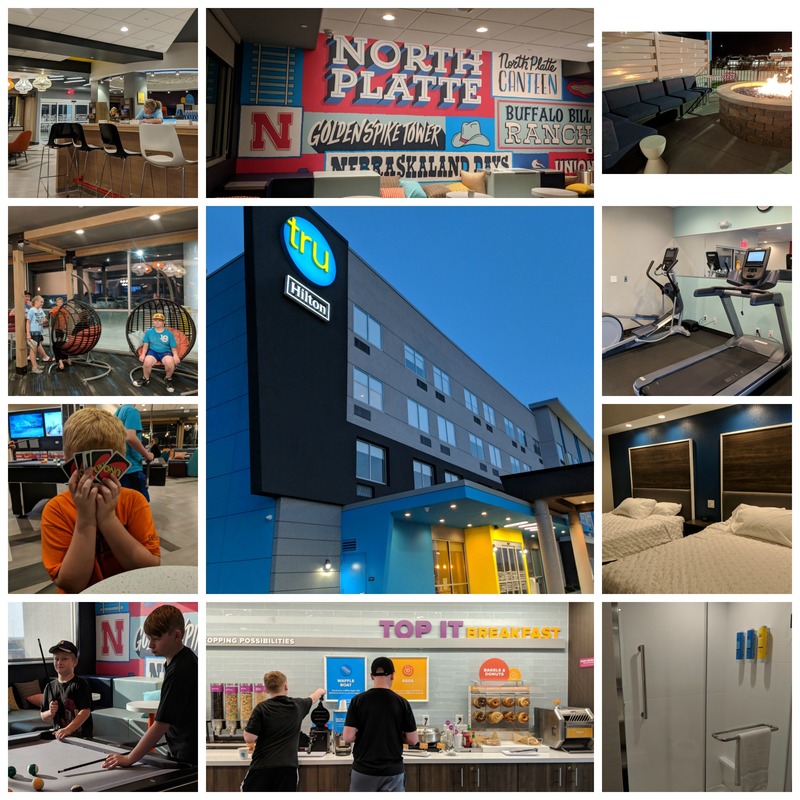 For our family to fully enjoy exploring North Platte, I contacted the North Platte Convention & Visitor’s Bureau first. Then they helped me to get in touch with many of these locations. Free and discounted admission made it possible for me to evaluate these places. I am grateful. We were delighted to get a discounted stay at the brand new Tru Hotel. Hanging out in the lobby is usually unheard of. But at this hotel chain, that is exactly their intention. With a pool table and a cupboard full of games, fun is waiting for all. The hotel room are spacious and comfortable. I really liked the squeeze bottle shampoo that is mounted in the shower. The only potential drawback is the fact that they do not have any roll away beds. Although the floors are easy to keep clean, they are not exactly comfortable. As for the breakfast, they had several original possibilities. My favorite might be adding Oreos to the Greek yogurt. But the fact that I could add salsa verde to an egg burrito might be a close second. Not really into the hotel breakfasts? Then you will want to start your day in a 50’s style dinner. Because North Platte is a big railroad town, seeing a Penny’s is not surprising. Because they are open 24 hours, they suit the track life perfectly. The menu keeps the classics available. 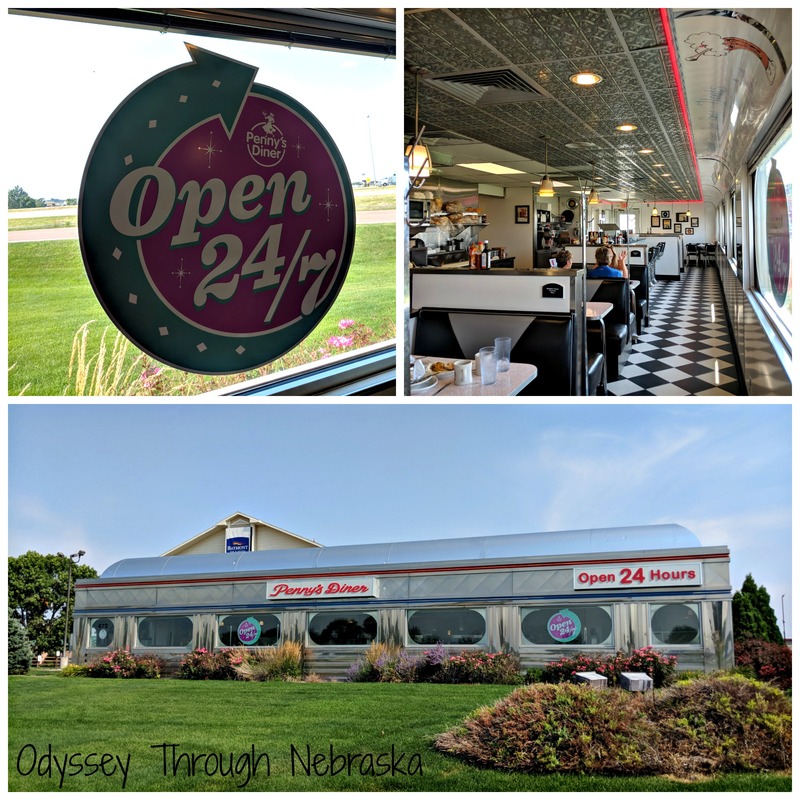 Lunch is a Nebraska original. 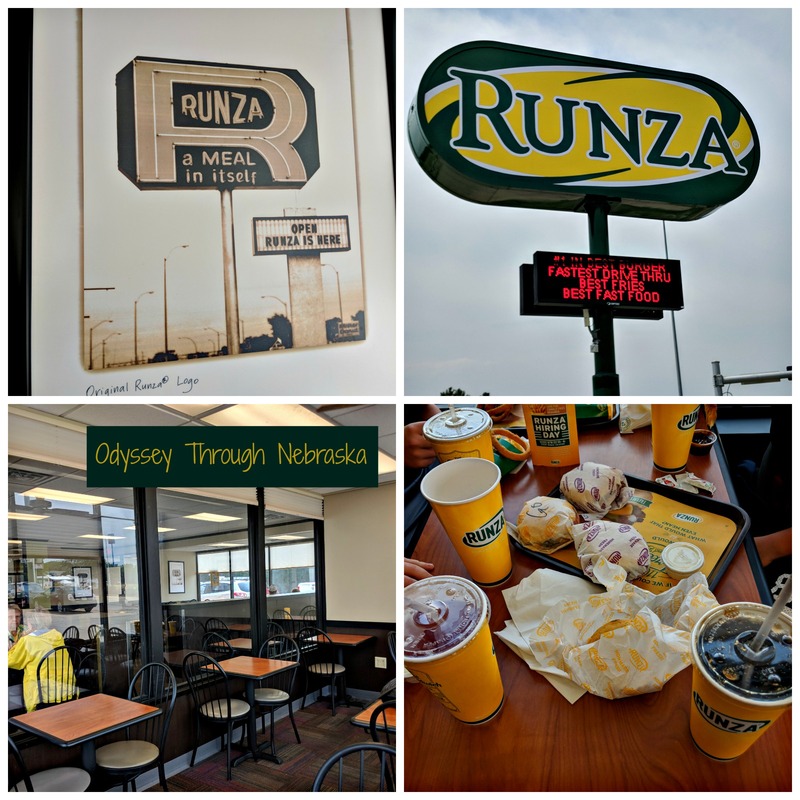 Runza is one of my family’s favorite places to eat. In case you are unfamiliar with a “runza” think a soft stuffed sandwich filled with seasoned beef, onions and cabbage. They also have great burgers, fries and onions rings. This particular restaurant is one of the biggest locations with over 100 seats. Because of the size, I think this helps make it be even more family friendly. One of the seating areas in sectioned off which works particularly well with smaller children. My recommended supper location may not seem family friendly at first. 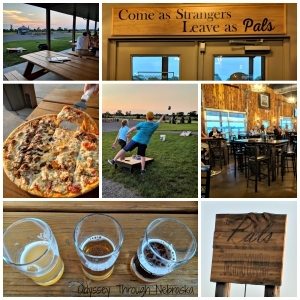 Pals Brewing Company a family operated endeavor on the edge of town. With several kinds of pizza, your kids will enjoy going back. The food was quite delicious. Dining outside adds another welcoming element. Outdoor games are available for the family to play while you wait. These also work well if parents would like a chance to complete a conversation. Mom & Dad can talk, and the kids can play. Parents may also choose to enjoy a grown-up drink. I sipped several, and I am rather surprised by my favorite. 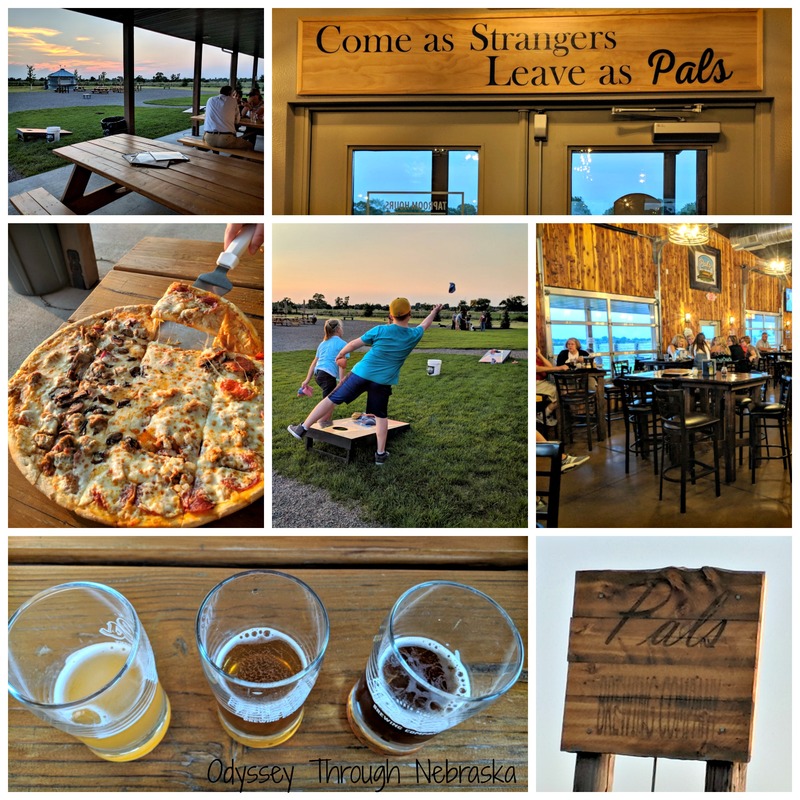 Their jalepeno cream beer compliments pizza perfectly. 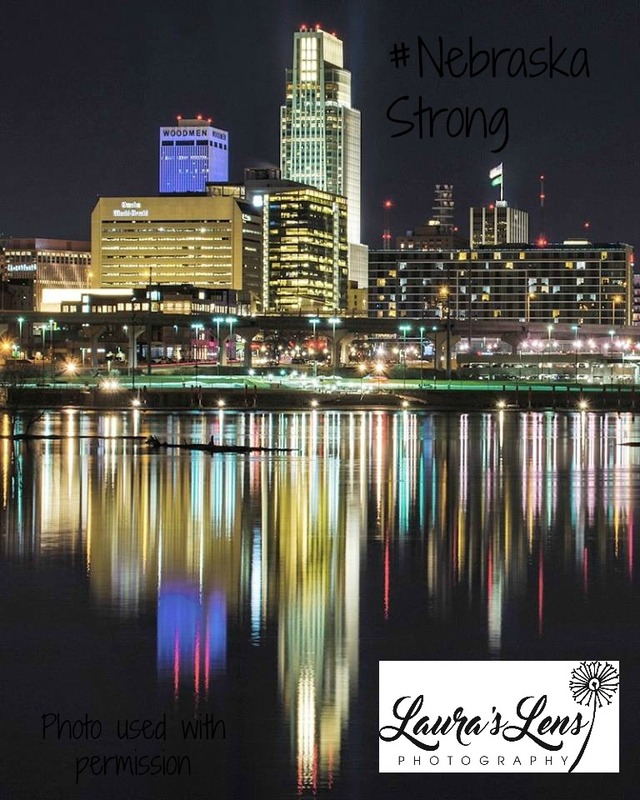 While they do not always have food specials, they will be broadcasting the home Husker games. #sponsored Thank you to the @npchildrensmuseum for letting my youngest two check out your well done #childrensmuseum They did not want to leave! The younger set will really enjoy the North Platte Children’s Museum. From farmer to musician to doctor to home builder, your child can envision so many possibilities. Having been to several children’s museums, I must say that I have a special places for these smaller town locations. Due to limited budgets, they do not have quite as many high teach possibilities. Instead they turn on the charm on creativity. I think that they do a great job! 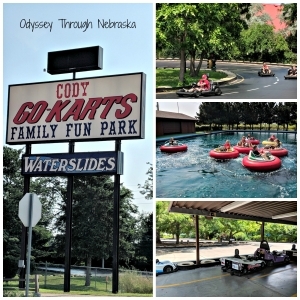 For kids of all ages, the Cody Go-Karts Family Fun Park will quickly become a family favorite. Although there are certain package possibilities, mostly you pay per activity. The kids enjoyed several go kart races. Even I joined in the bumper boat adventure – that was a very fun way to cool off on a warm day. The link is for their Facebook page as that is where they post their hours. Typically they are open on week-ends starting in April, then they are open through the summer every day through Labor Day. Buffalo Bill chose North Platte to be his town. Touring the property that is now a state park is definitely enlightening. I really enjoyed learning about Buffalo Bill’s interesting life. We spend all afternoon at this location, and I wish that we would have had all day. Their collection of photographs and memorabilia is outstanding. 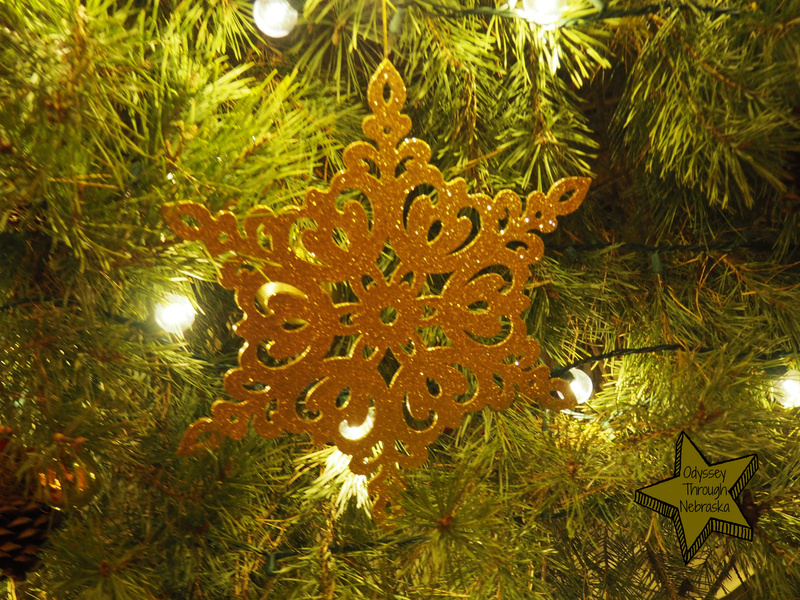 For my kids, spending part of the day there was just enough time. Down the road, visitors can also tour the Lincoln County History Museum is full of local lore and memorabilia. 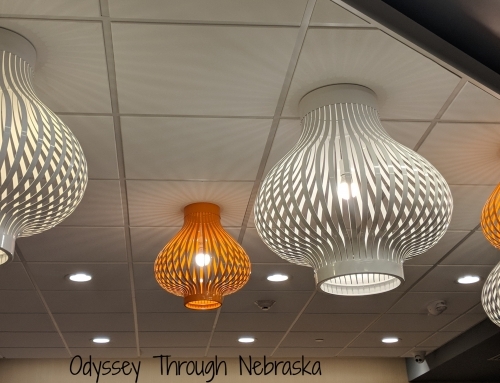 Whether you are interested in learning more about the Oregon Trail, life in early Nebraska or the volunteers who helped with the World War 2 Canteen, the displays are plentiful. 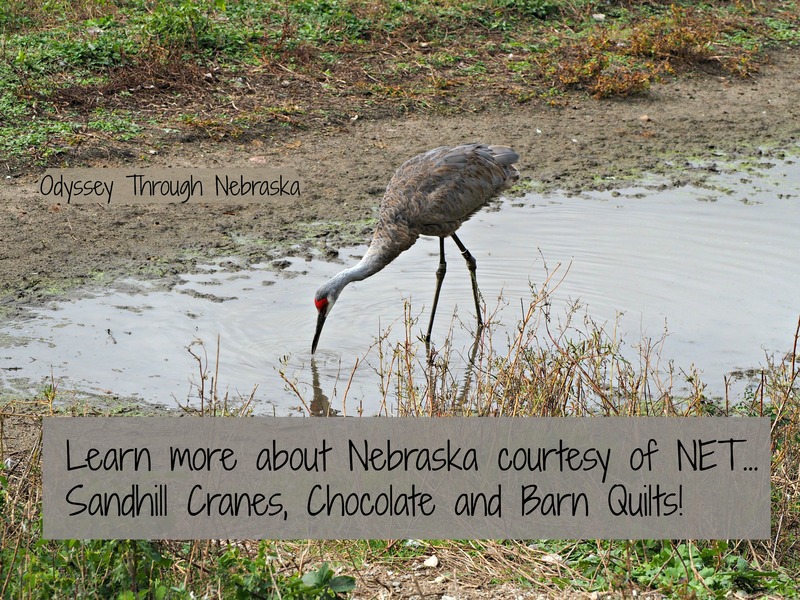 This location is a perfect place for kids to learn because they have many outdoor exhibits. Exploration provides an excellent way to learn. Your ultimate North Platte train destination needs to happen at the railroad yards. To learn about the town’s connection to the tracks, visit the Golden Spike Tower Visitor’s Center. If possible, attend the North Platte Rail Days that happen every September. This experience provides you with the most opportunities to be a part of the railroad experience. That being said, the visitor’s center is open almost every day. Admission is charged, so do try to visit when you have enough time to explore. Right when you enter, you will be amazed by all of the train memorabilia in the lobby. Take it from me – save this until the end as a way to get your kids down from the observation deck. (Finding an affordable train souvenir will help you out later on!) The guides encourage you to watch the video in the lobby first, and I agree that the clips provide a great summary. Take the elevator to Floor 7 to walk around history. Guides are available to answer any questions you may have. Mainly these experts are former railroad workers, so they definitely know what they’re talking about. Unless your kids are highly inquisitive, you may want to come prepared with a few questions for the volunteers to start the conversation. Because they know so much about trains, knowing what your family is interested in learning is helpful. Floor 8 provides an excellent view of Bailey Yard which is the largest switchyard in the world. If you have a train enthusiast, you may struggle with getting them to leave. We all enjoyed seeing all of the train activity from a higher vantage point. 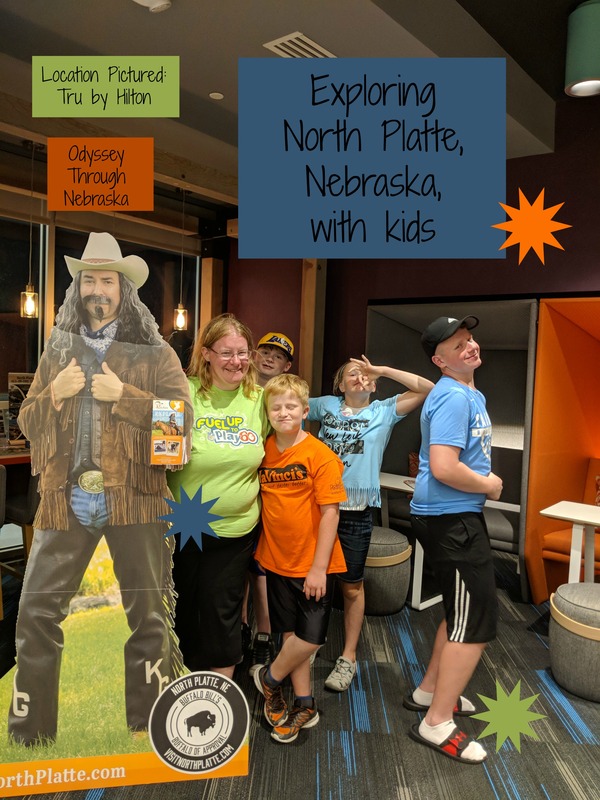 Thank you to all of the North Platte places who helped us to afford this adventure by providing free or discounted admission. 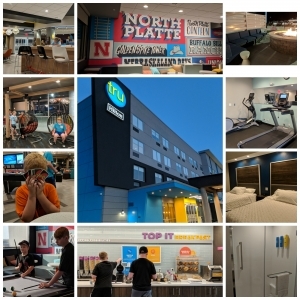 A special thank you to the North Platte Conventions and Vistor’s Bureau for all their help in making this hosted visit happen. 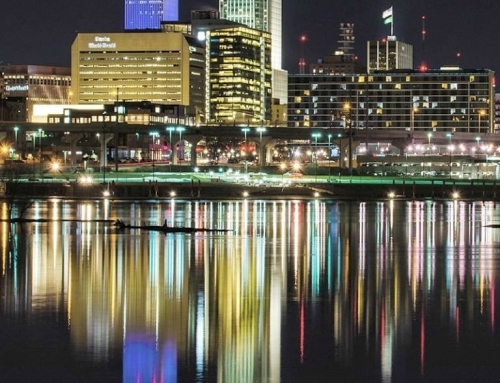 We look forward to a return trip to your marvelous town!!!! !